When did you realize that it was time to make a change? I got married and had my daughter. What prompted your change? I was on maternity leave but my family decided to go to a part-time nanny since the boys were getting older. They also wanted more of a housekeeper. Was it changes in your job? Changes in your life (like getting married or having your own child) frustration in not being able to find good families to work with, or did you just decide to do something different? It was very difficult for me to find a nanny position in which I could take my daughter to work with me. Families either were very wary about me neglecting my work or did not want to pay a fair wage because I was bringing my daughter to work. If you left to become a parent, how is parenting your own child different than parenting someone elses child/children? Completely different! I was more confident as a nanny. Parenting makes me second guess everything. My husband will often tell me, “Take off your mommy hat and put on your nanny hat.” I am getting better about panicking over little things, like not calling the doctor’s office for everything. Was it difficult to come to the realization that you were going to have to leave the nanny profession? Yes, I loved being a nanny. I thoroughly enjoyed all the roles that being a nanny meant. I had the opportunity to meet people and have experiences that would have never happened if I had not been a nanny. Did it come to you gradually, or was it an epiphany when you realized there was something else you wanted to do? It was gradual. I tried to get a nanny position where I could take my daughter with me. Becoming an elementary school teacher seemed to be a natural transition. Did you view it as a positive change or a negative change? Being a mom is definitely a positive change. I also chose a new career that I enjoy as much as being a nanny. Do you miss working as a nanny? No, I have moved on to a new chapter in my life. Oddly, I thought I would really miss it. Do you stay in touch with any of your nanny friends? Yes, although not nearly as much as I would like to. Do you stay abreast of what is going on in the field today? I do not follow current news as much in the last couple of years. My focus has shifted to what is happening in education. If yes, what do you miss the most? I am home with my own children and that is a huge reward. However, I miss being paid for the things that I do every day. Additionally, although being a nanny is not like a regular 9 – 5 job, I miss being able to leave work at work. The role of wife and mother is fabulous but never ending. If no, what do you miss the least? General frustration when parents catered to every whim of their children. There were also those who would not work with you or thought that you had no idea what you were talking about because you were not a parent. Tell us a little bit about what you are doing now. I am enjoying my children (99.9% of the time) and earning a Bachelor of Science degree in Elementary Education. Tell us what you learned as a nanny that is helping you in your current job, career or profession? There are so many things that I can take from my nanny career to teaching. Such as child development, patience, fundamental education, networking, professional education, contract negotiation, planning, budgeting, scheduling, time management (still working on that one) and much more. What advice would you give to nannies who are still in the profession but struggling with whether or not they should stay or go? All I can say is follow your heart. Why are you struggling? Is it the family? Is it job stress? Is your personal family not supporting you in your decision to be a nanny? Do you feel like you were meant to do something else? It sounds “old school” but I often make a pro/con list. It has helped me make decisions many times because my reasons are there in black and white and not so abstract. What advice would you give to other nannies? Get and stay connected with other nannies, go to the conferences, embrace your profession. Make sure that you have a personal life. Your happiness should not depend solely on your role as a nanny and you should not let your work family take advantage of you. On a side note, if you are a live-in, do not treat your pay check like an allowance, save, save, save. It took me a number of years to learn that lesson the hard way. What do you wish you had known then that you know now? I wish that I would have known about online college classes. I would have completed my education while I was working as a nanny and would be done by now. I tried a couple of night and Saturday classes, but my heart just was not into going to class at those times. In hindsight, do you think your decision was a good one? Yes! Would you do it again? Absolutely! Would you ever consider working as a nanny again? Possibly, if I could have my kids come to my job after school. Definitely, if trends in education keep going the way that they are right now. Cyberbulling → ← Going to the INA Conference? 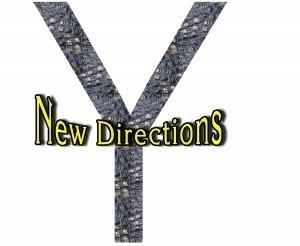 Thanks so much for doing this thought-provoking New Directions series. I’m not ready to leave nannying, but as my hair greys I realize eventually I’m going to age out…parents will look for someone less likely to miss work replacing a hip or have a heart event chasing a toddler, and I’ll be unable to find a job. Which is to say, I love being a nanny and would tend to continue until forced out of it…so it’s very helpful to read these stories of nannies who loved their careers being able to change as their lives changed. You’re helping me think ahead in directions I need to think. So thanks. Jan, I am glad you enjoy this series. I think that it is so important for nannies to realize the value of what they learn on their job each day and how the skills we develop as professional nannies make us excellent candidates for many other professions as well.